Project Measure It Is Worth Its Weight in Diamonds! Thinking about Christmas gifts for the Hi-Fi fan that has it all, there is one gadget that I simply would not be without and would make the ideal gift if you own a record player! So often we get asked "I want to get them something for the Hi-Fi but don't know if it's the one they would like." Or "what if they don't like the sound of it?" As most of you will know I'm a huge vinyl fan so obviously this is going to be for us people who like getting out of the chair every 20 minutes to play records. It is the Project Measure it! 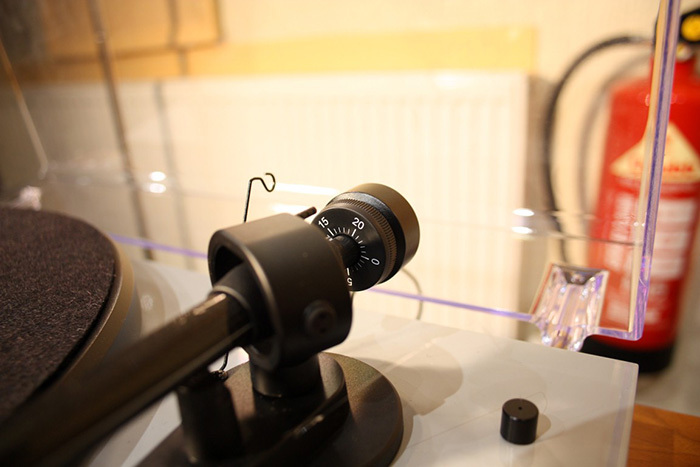 One thing that you can never be sure of with the set up of any tonearm is if the down force is correct or not. You can be so so careful to go through the set-up procedure accurately, but then you find that the actual downforce is incorrect. You could be listening to your turntable at 90% performance! To show what happens, I first set up the deck in the good old fashioned way of finding 0g and get the arm to hover in mid-air. Now you can accurately set your cartridge at various steps within the recommended settings and find out where it sounds it's best and keep it there. Worth it's weight in gold.... no .... Worth its weight in diamonds more like!